Finished work and it was dinner time; was planned to have nice hawker food nearby my house but ended up went to LK Western Food since the stall that we wanted to eat didn't open. Mostly, I'll only call for the delivery instead of going to eat in the restaurant. 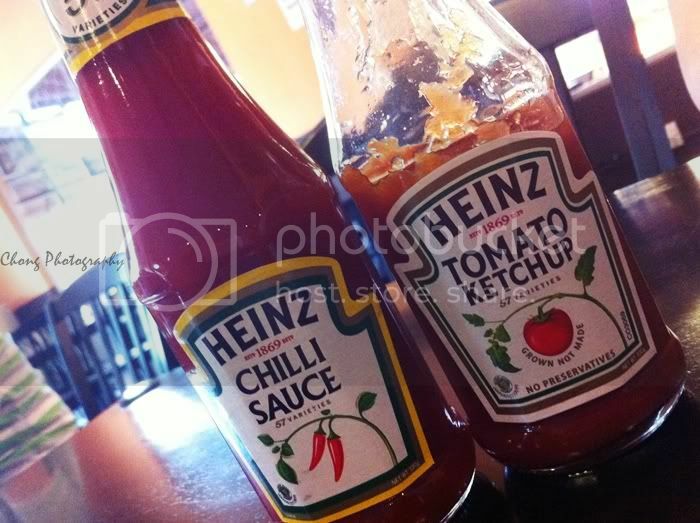 They using Heinz now, last time was Maggie. 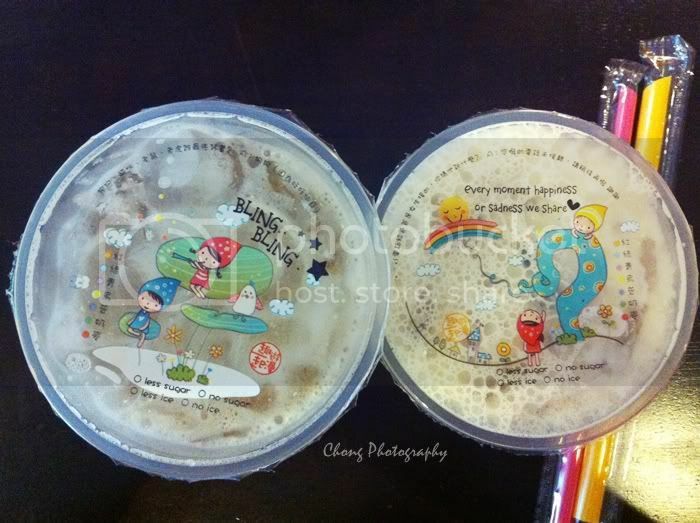 Love the packing of the drinks, so Taiwan feel. 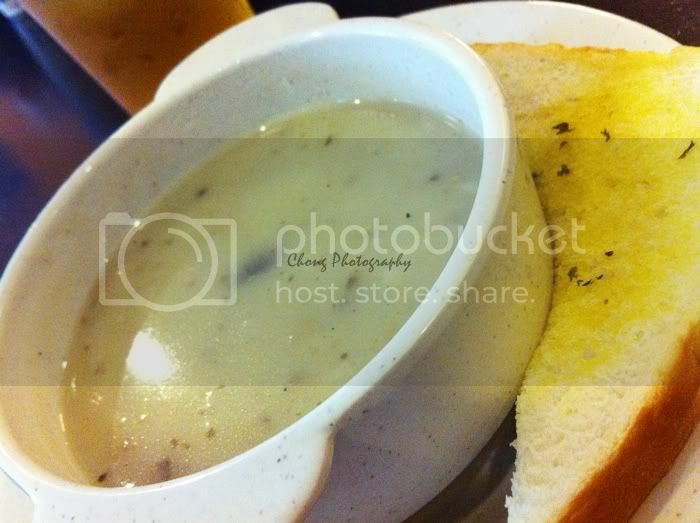 Our mushroom soup and bread. 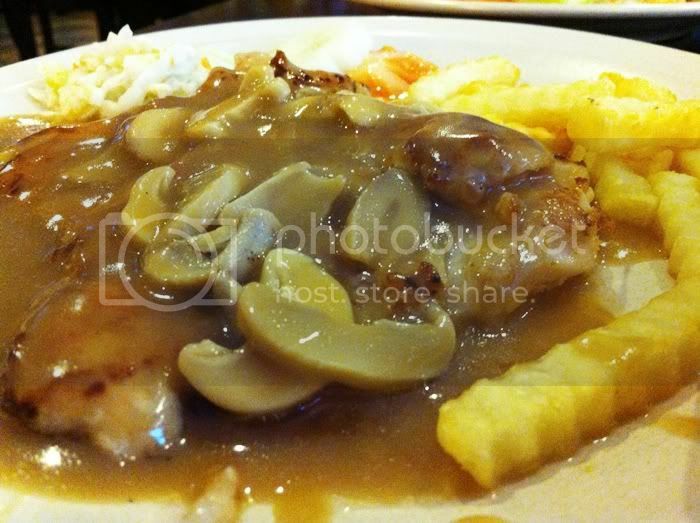 It's like I'll only order the same dish whenever I step in a western food restaurant, the Mushroom Grilled Chicken. Laugh. So here, order the Set Meal with only RM16.90, which included the main course, mushroom soup, drink and dessert. Quite okay, isn't it? Add: 494-Q, Jalan Ayer Itam, 11400 Ayer Itam, Pulau Pinang. Love the ambiance of the Mews. If by chance, I'll go there again and take some beautiful photos.